The OL 410 is a microprocessor-controlled, precision DC lamp source specifically designed to accurately operate tungsten filament lamp standards and calibration sources. The power output range is 1000 watts for the OL 410-1000. The OL 410-1000 is for use with OL Series 100, OL Series 200, and OL FEL Standards. The OL 410 is a microprocessor-controlled, precision DC lamp source specifically designed to accurately operate tungsten filament lamp standards and calibration sources. The power output range is 150 watts for the OL 410-150. The OL 410-150 is for use with OL Series 245 Standards and the OL 740-20 High Intensity Source Attachment. The OL 410-200 is for use with OL Series 220 Standards and OL Series 752-10 Plug-in Standards. 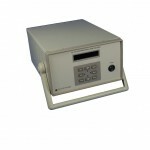 The OL 46D features complex automatic lamp starting and operating supplies. When the supply is turned on, a starting voltage is supplied to heat the filament. After approximately 20 seconds, the initial regulated filament voltage is reduced by 30% and the high voltage circuit is switched on. Following the high voltage pulse striking the lamp arc, a precision DC lamp current is established. 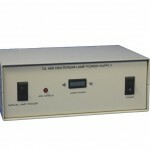 The OL 46D is for use with OL 752-12 Deuterium Standards, OL UV-40 Ultraviolet Standards and OL 440-8-OH UV Integrating Sphere Standard of Spectral Irradiance.